So it’s officially Spring here in Australia! I recently had the opportunity to pick out a few clothing items from Sammydress to review so I decided to go for spring / summer clothes to get me ready for the warmer weather! Here’s my Sammydress review and some of the things I picked up! 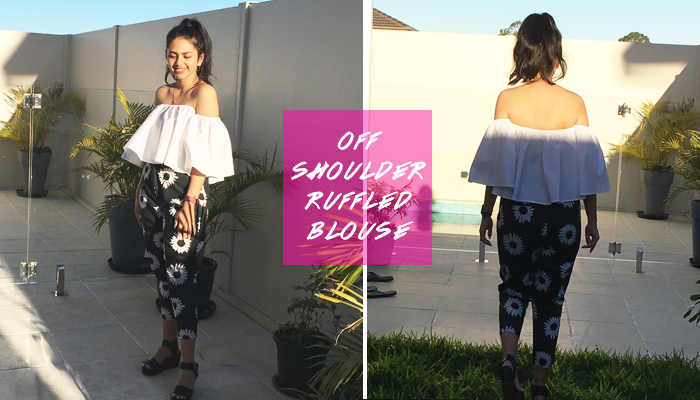 As I’ve been obsessed with all things off shoulder, I decided to pick up this Charming Off the Shoulder Ruffled Blouse*. The top itself is super comfy to wear and will be the perfect summer top. Paired with jeans, pants or high waisted shorts, I already feel like this top will be one of my faves! I picked up this Chic Off The Shoulder white crop top and skirt twinset* because I love how the set looks very spring and summery. The sheer skirt is just so gorgeous and is the perfect midi length too! If you’ve been reading my blog for a while now, you’d know of my obsession with all things high necked. 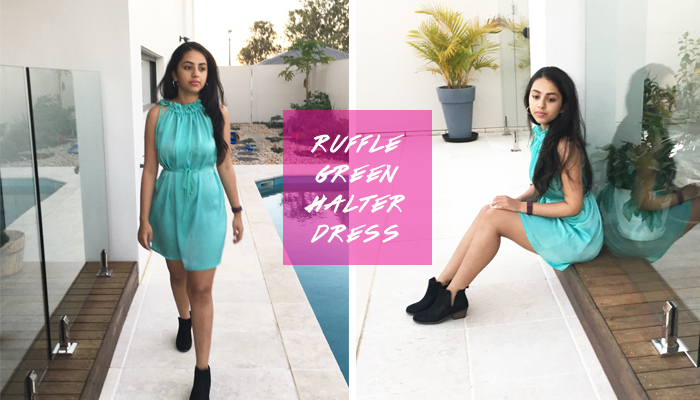 So, when I saw this gorgeous Ruffle Collar Belted green halter dress*, I immediately fell in love with it. I love the ruffled neckline and the style of the dress. The colour is also very summery! *Items gifted. Read my full disclaimer here.